On the "Submit a Case" page, i had embedded a form. (Not a cloned form). I did a test & filled out "every" field. 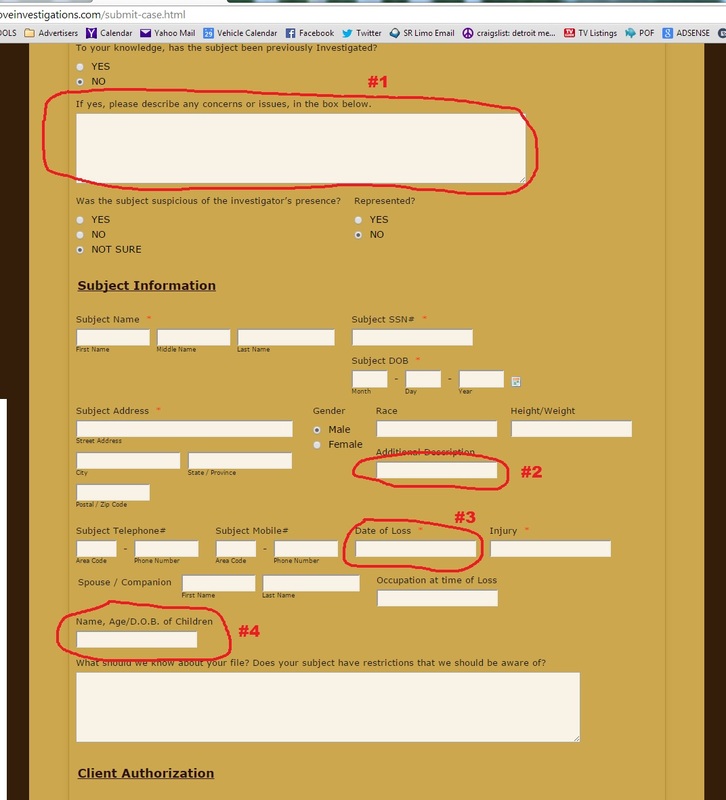 But when I get them in my email, it does not show the answers for the following (4) questions. UNDER Claim Information and Type of Investigation"
1.) If yes, please describe any concerns or issues, in the box below. 2.) Additional descriptions (I.E.) Hair color, Eye Glasses, Facial Hair ETC. 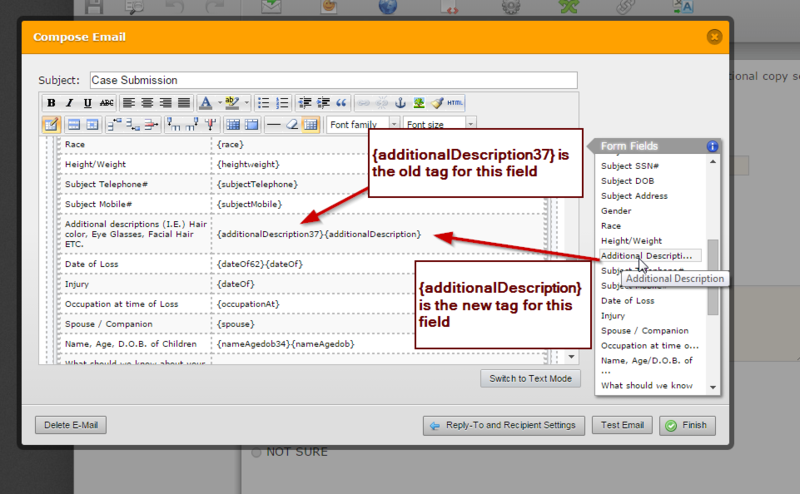 This is because when you update your fields, the tags in the email content under "Email Alerts" does not automatically change to the new one. 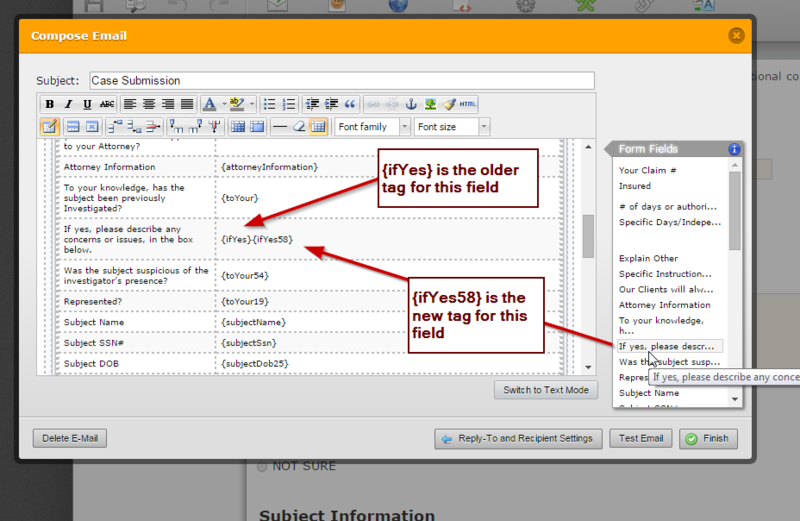 I've cloned your form, and I see that the tags in the form field is different. You'll just need to update the form field tags that are not showing in your email notifications by just adding or clicking the form fields on the right.